BLOKFEST: Blokfest final 2015/16 get psyched! Blokfest final 2015/16 get psyched! 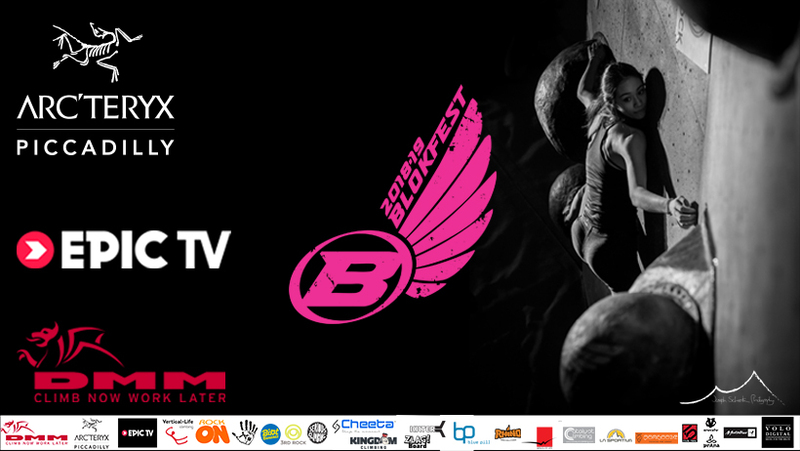 We are ridiculously psyched about the final round of Blokfest coming up at the Castle on Saturday 5th March. Everything we have done so far leads up to this event so its defiantly something not to be missed! On the day we have a huge tour of fun boulders spread around the Castles multiple levels and all over there great variety of bouldering surfaces. After this it will be Showcase Senior finals 6-7pm with spot lights and live tunes! We are also very excited about the UK's first official Zlag Board finger board competition that you will be able to have a go at during the day and especially at the After party. The Zlag board is a very innovative finger board that rigs up into some cool software to allow us to have a live projected leader board and hang-time scores. This will be the Fight Club equivalent of endurance and pain tolerance! We invite all the heavy hitters to have a go on the stage after the finals finish at the Zlag Board after party from 7-10pm with licensed bar and a cheering crowd. So to learn more explore the website and our social media pages and be sure not to miss what could easily be the best Blokfest of all time. Learn more about the Zlag Board competition via this video. La Sportiva Zlagboard contest 2015 // Arco from Vertical Life on Vimeo.